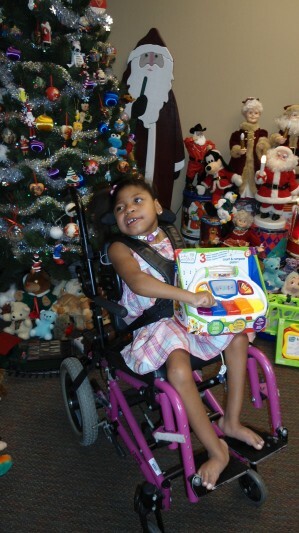 Gave pediatric bath seat and manual wheelchair: The chair given to her at age 1 is too small. Med. have adjusted the chair as much as they can and it is just too small.